While I am not known for my crafty-abilities....Waiting for my new glasses prevents me from doing precision sewing. So, I found this cool site and have been having such a good time creating computer wallpaper, screen savers....and.....T-SHIRT TRANSFERS! I have made a collage of some of the "art" I generated that includes an example of generated text and image applied to a simple (very simple) T-shirt (see below). One of the things I appreciate about this site is that there is NOTHING to download...You generate the images right there and save what you like. And it's mindless...you have some input, but the generator does the rest. Perhaps I am easily impressed and/or amused, LOL, but you HAVE to check this out! TypoGenerator is a random generator for 'typoPosters'. 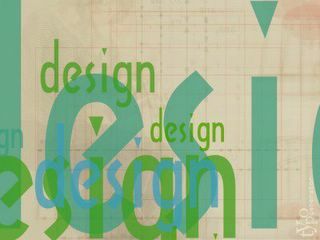 A typoPoster is a poster, created from images and letters/text. It's sole purpose is just to look cool. 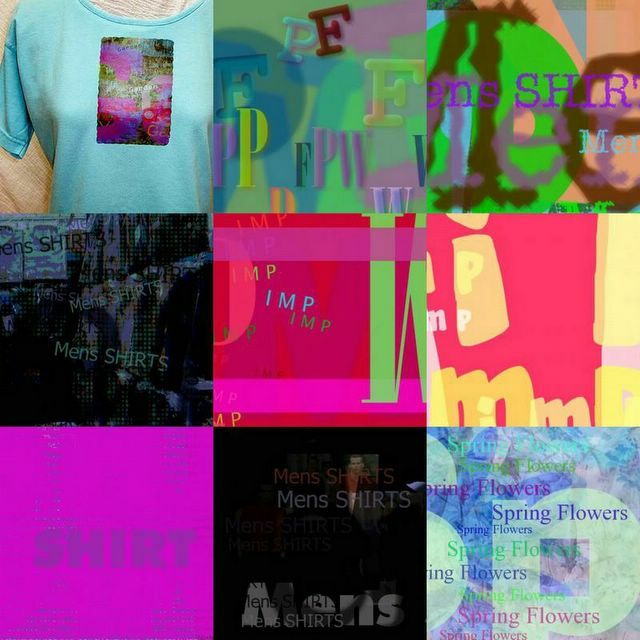 The user types some text; typoGenerator searches images/google for the text and creates a background from the found images, using randomly chosen effects. Then it places the text, also using random effects. 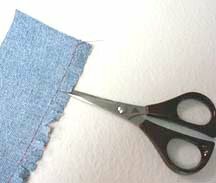 To "CHIP FRINGE", edge-stitch the desired depth of finished fringe, then clip to stitching line at quarter-inch intervals. 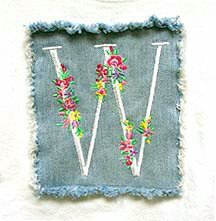 In this case I wanted to fringe a denim applique to put on a child's sweatshirt. So after I embroidered the square, I stitched about 1/2" from the edge around 4 sides. After clipping, the applique was attached to the shirt following the stitching lines. 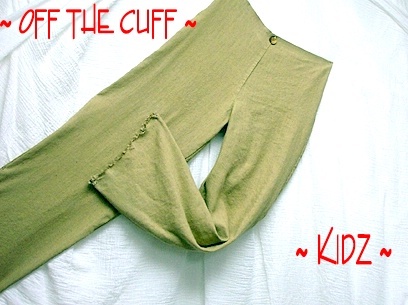 After washing, the fabric "chips" away, leaving a fashionable soft fringed edge. This technique is especially useful when you are not sure the fabric is perfectly 'on-grain'. "Chipping" the fringe rather than raveling the edge assures the fringe depth will be straight and even! Among other things, you can use this calculator to create a circle skirt, half-circle skirt, or use it to create a flounce: Type in an inner circle measurement (like waist or wrist), click on the icon for full circle, half circle, quarter circle, etc....and there it is, the radius you need to make a circle skirt that fits the input waist measurement, or flounce to fit the input wrist measurement. The calculator shows results in imperial fractions and decimal at the same time, and will convert inches to decimals. Click the title of this post (or link) to check out the details of this nifty free calculator, view a screenshot, and download.